I love natives, ponies and luscious cobs, all of which come with their fair share of hair. My first experience of clipping feathers/legs was on my loan horse, Mr Harvey who had the legs of a supermodel, or sport horse (possibly a more appropriate analogy)...hidden under sways of hair! And as you can imagine, once I'd clipped them out once, I fell in love with his new suave look and wanted them this way all the time. Fortunately Harvey's owners had a pair of clippers I could borrow and every other month I'd set to work with an extension lead, plug, curly cable and clippers....yes, it was a juggling act! The clippers worked beautifully, although the process was a handful to manoeuvre around legs, not to mention the racket they made! 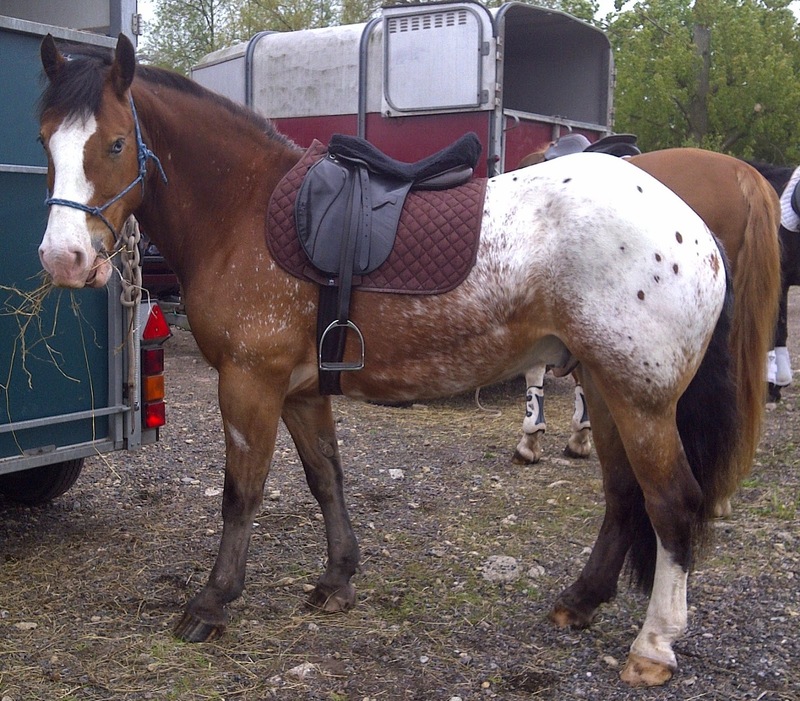 Thankfully, Harvey is an saint cleverly disguised as a shire x appaloosa and never even so much as blinked at the clippers. The same can not be said for my sensitive Irish Connemara, Oscar. Storage - come in a small aluminium case to protect again yard bangs and knocks things take in our tack rooms, very convenient to store. 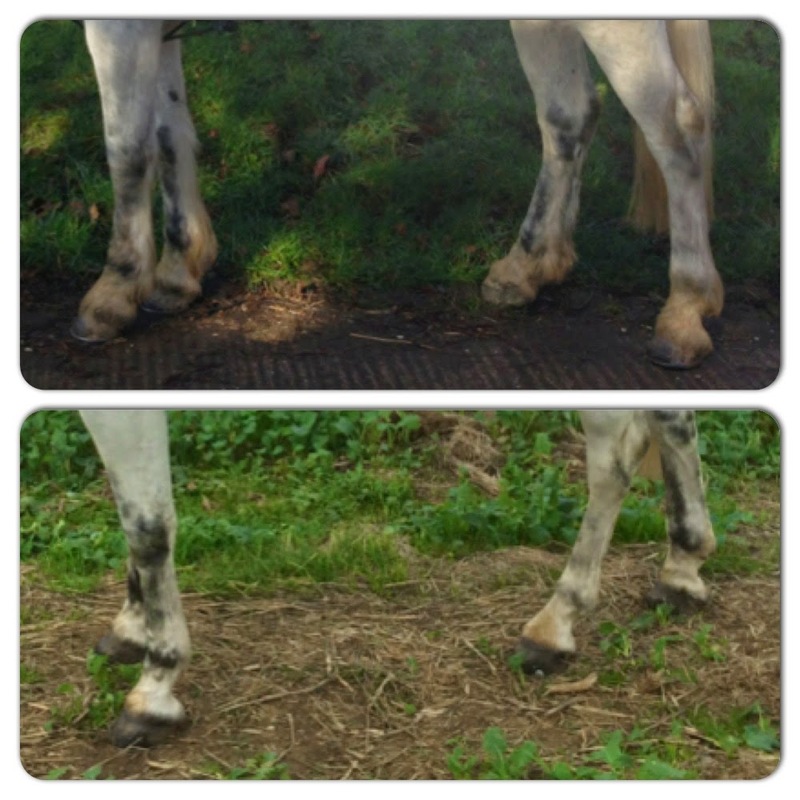 Type of use - I have used the trimmers on legs, feathers, ears and to tidy under the jaw and another friend has since purchased a pair whose horse is heavier than Oscar, a true cob and they tidy his thick feathers beautifully, so don't think they're only for baby feathers, they can tackle all types! A fantastic purchase, one I wouldn't be without now...here are some recent before and after pictures. Moving into Winter, Oscar at some point will be fully clipped out, what clippers do you use for bodies and why, please share your options, thank you. My birthday bought the most wonderful surprise a girl who owns a horse (& is well and truly penniless because of said horse) could wish for...transport!! Unfortunately it wasn't for keeps, but two of the most precious days that Oscar and I will cherish forever (thank you to Mum and Dad). I think, dream...ramble on about transport a lot...I would love transport for Oscar and I, hell I can even afford a trailer...just need to get my bottom in gear to take the trailer test - at almost £1000, god forbid I fail...not worth considering. Anyway...the real issue: changing my car. Buying a reliable vehicle that is capable of safely towing my precious pony...this most likely means a gas guzzling car...that will cost more than my economical Polo to tax, service, MOT and insure...not forgetting I will have to use it for the 300 miles of running around I do each week...and that is a fuel bill I can't face! And then Bloomfields happened, my parents innocently hired me transport from one of the most elite companies in Europe, they're a leading manufacturer of 3.5 tonne horseboxes and it's easy to see why, nothing is too much of an ask, they shape the build completely around you, personalising every last detail. 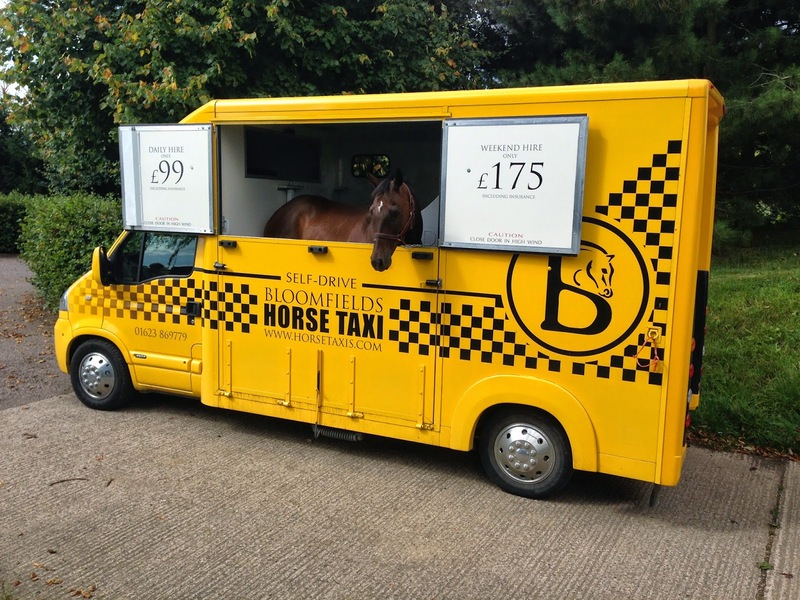 And there is a box to suit everyone as Bloomfields offer a range of five models that the buyer can tailor, purchase prices start at a reasonable £17,495+ VAT http://bloomfields.co/horsebox_models/. 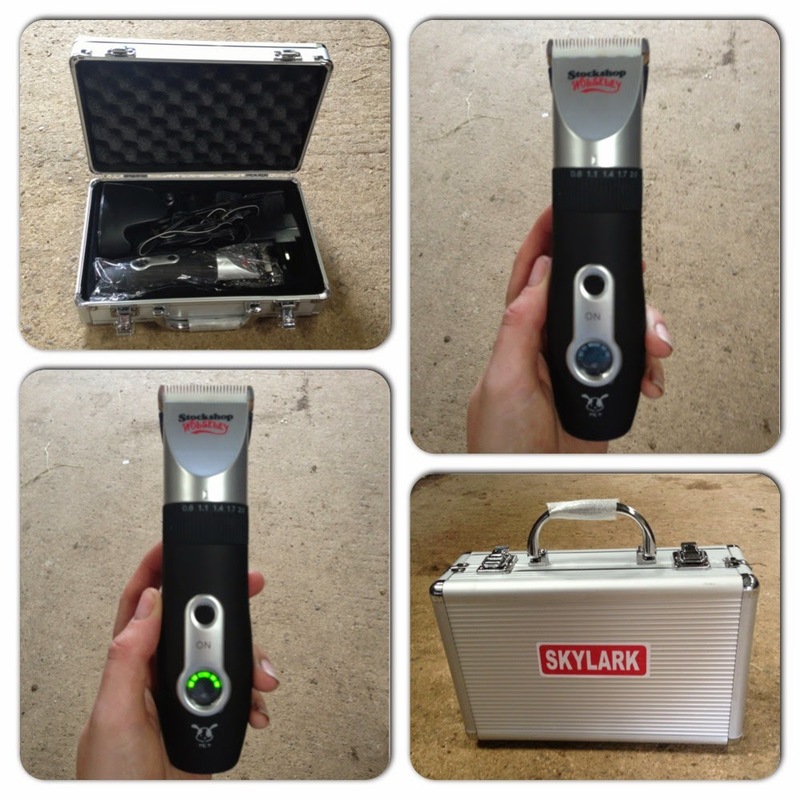 The whole range have been bulk tested to over four times the legal requirement assuring that all designs provide maximum crash impact safety and this theme of safety follows through the whole design process. The horse cell is tailored to the type of animal you will be moving, be it nervous travellers, broodmares & foals to stallions - they've already thought about it for you and aren't afraid to make recommendations about what is safest for you and your horse. It was a present in itself looking around the Bloomfields factory, most of the models were in stock so I had the privilege of seeing every shell, a clean canvas waiting to be transformed, sitting in each luxuriously padded seat, viewing the different horse cells and deciding whether I'd have a sink and hob in my wagon one day, all as the dedicated team of craftsman busily worked around us. A fascinating experience that soon led to dark thoughts as I considered holding mum and dad to ransom by explaining the quality of their future care home rested on the purchase of one of these fine vehicles, so we moved onto the Taxi to save my sanity. The Bloomfields Taxi is an excellent self hire transport service, to hire the dates can be conveniently reserved over the phone or via Facebook, email and a small deposit taken by cheque/bank transfer, I was given a simple name/address etc... form to complete and return on the day of hire with relevant identification at the reasonable cost of £99 per day, £175 for two - the lorry can also be hired for longer periods. On the day of hire, Bloomfields were 100% accommodating, being flexible around the pick up and drop off times and presented the lorry well, freshly jet washed out with a full tank of fuel and off we went, I chose to drive it home and was totally overwhelmed at how easy it was to drive, even on the narrow Leicestershire lanes! I ruled the road...and loved it! Until the horses were on board....then I lost my bottle, having never driven anything bigger than a 3 door car, a horsebox with two precious ponies in transit blew my mind - please take note a 15.1hh spooky pants connemara and a 16hh freshly retired ex-racehorse happily walked onto the box with little fuss having ample space. En route to our first day trip the horses were quiet as mouses in the back, the on board camera reassuring me they were having a smooth ride and after a successful round of cross country followed by tea and cake I decided to drive back. I probably took the corners a little too slow and sympathised with the flow of traffic behind me but I did it! Safely! 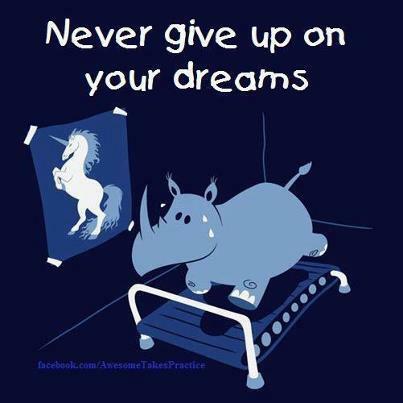 And easily...! And at this point knew how much more convenient and safe a lorry is compared to a trailer! Day two saw me load and drive two horses to our showjumping destination and again drive back, which included a tricky hill start out of a junction that would certainly test the clutch of a car, but the lorry didn't notice and again I returned home full of confidence. "Dad...I think the ponies want a Bloomfields, look how much they love it?!!" The lorry was comfortable with three seats in the front and several saddle racks and hanging space for tack in the back, I have already mentioned the fantastic on-board camera and another feature I love about the lorry are the plastic lights in the horse cab area ensuring whatever time of day the stall looked inviting, even to the trickiest of loaders! Needless to say, I was sad to drive it back! Stopping by at the petrol station I was chuffed once again, as after zipping around for two days with two horses I'd only used £40 in diesel! 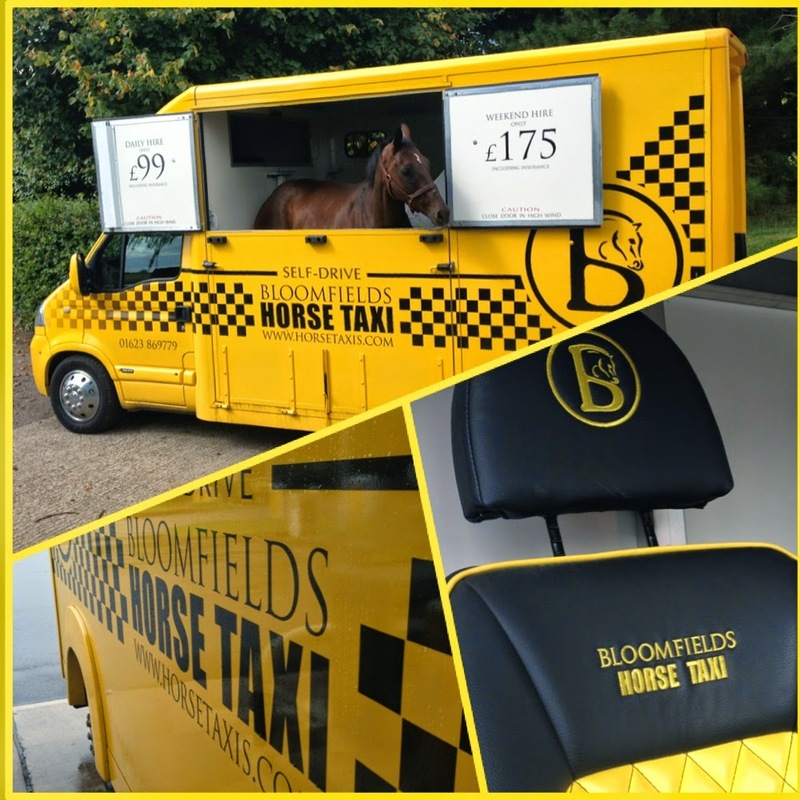 Bloomfields are often at Country Shows, recently appearing at the Royal Dublin Show in Ireland, I'd encourage everyone to take a look at their vehicles...my mum fell in love with one because it had wood grain finish, complete with hob and sink...bacon sandwiches all round? Mum's are the best, haha! Their Facebook page Bloomfield Leisure Vehicles is a great place to take a look at some of their vehicles and also run impressive like and share competitions, an example of their quality...part of the prize is usually a Comfort Zone rug - I hope when I eventually save for my own box I get one of these too! 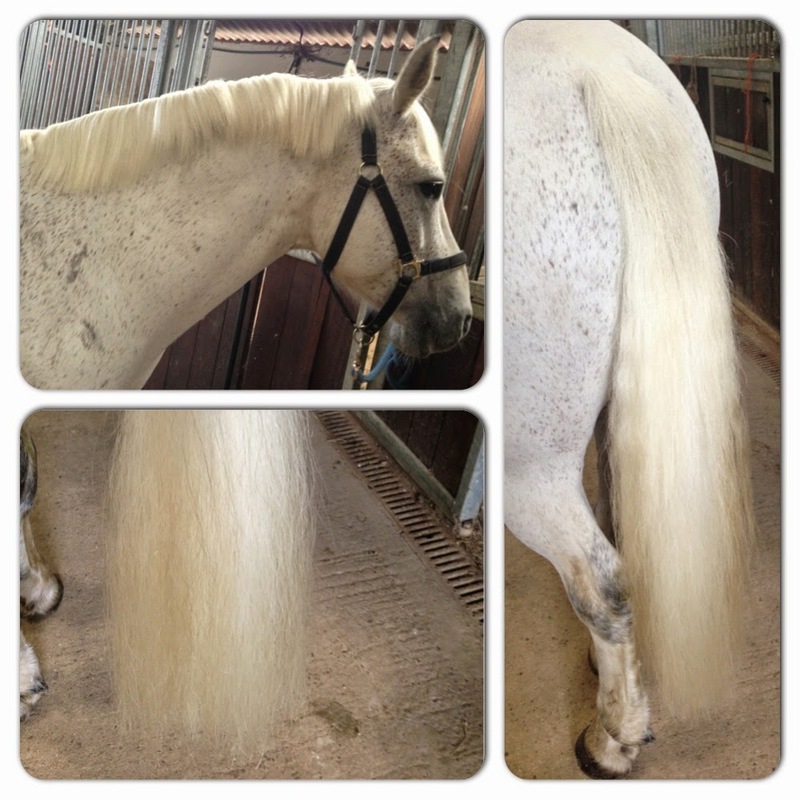 So why choose NAF Silky Mane & Tail D-Tangler? For me it only plays a small part in maintaining a healthy mane and tail as there are many other influences in achieving this, but I need a de-tangler in my grooming kit and it's cost is what first attracted me; RRP £9.99 - 750ml - this makes it one of the cheapest in the tack shop! And although it's one of the best value for money items, it does the job beautifully, it smells pleasant, it is not greasy, nor does it leave the tail feeling crispy, sticky or wet, it adds shine and this in turn detracts mud, dust and helps muck slide out/off the hair...need I say more? I do not over brush Oscar's tail, I can't even bring myself to pull it...I love the thick, full, bouncy connemara-ness of it too much, so instead I pick shavings, brambles, twigs...out of it daily by hand followed by a spitz of NAF, Silky Mane & Tail D-Tangler towards the bottom half, wait a short time for it to dry then sweep my dandy brush lightly through any tangles, starting at the dock of the tail I gently brush the dock to loosen any dirt (this can reduce itchiness if your horse rubs their tail too) and stimulate growth. If your equine friend isn't blessed with the hair of a Kardashian then forget the dandy brush I use daily and just stick to a spritz and running your fingers through the tail as brushing can pulls hairs out that take years to regrow. 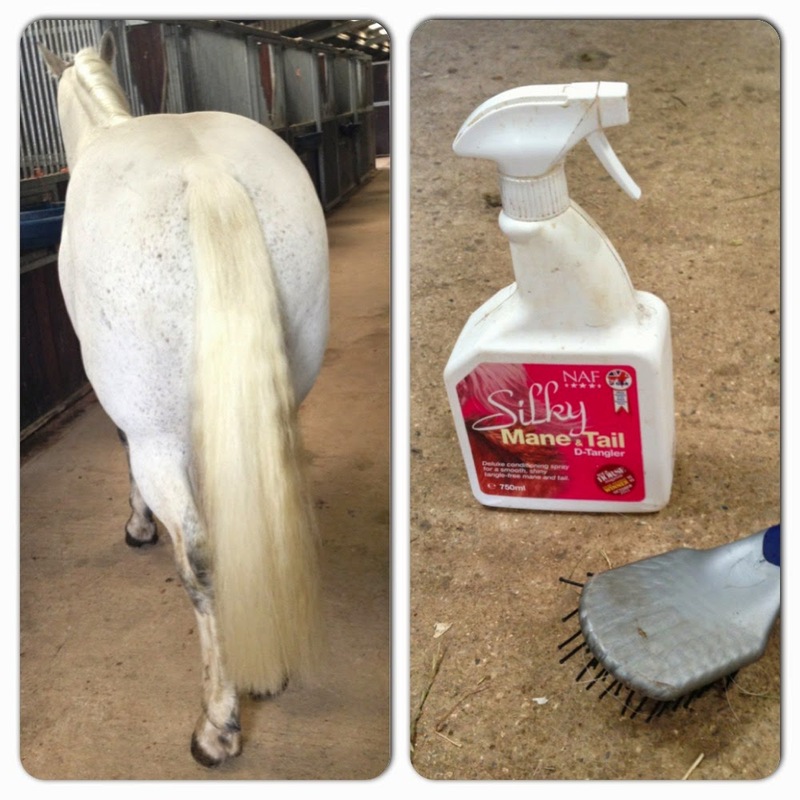 Due to Oscar having a white tail, I continue to wash it weekly with a gentle shampoo and after washing brush it through with an equine mane and tail brush with large spaces between the bristles, but this is the only time I use a brush on his tail. However, use the brush regularly on his mane...as Oscar has a short mane that doesn't tangle you may not think mane and tail conditioner is necessary however I spritz my brush then comb his mane to the right, using the conditioner encourages his mane to lay correctly and repel dirt! I would always recommend spraying it onto the brush as opposed to at your horse to avoid contact with their eyes and a lot of horses don't enjoy sprays around their faces - mine especially! Overall the NAF Silky Mane & Tail D-Tangler does a fantastic job and gives great value for money for everyday use, if you're struggling with a thin tail, other more expensive brands may offer more nutrients to encourage growth/strength but this ideally should come from the inside out so always review your horses diet as part of this process and please conduct a test patch before using any new products on your geegee.